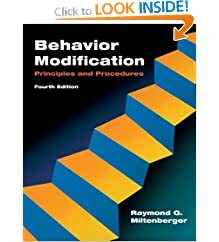 Behavior Modification, Principles and Procedures is a text that uses a precise, step by step, scientific approach to explain human behavior. Key case studies and examples are used to illustrate key principles. 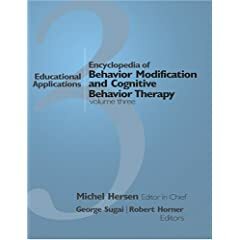 The three-volume Encyclopedia of Behavior Modification and Cognitive Behavior Therapy provides a thorough examination of the components of behavior modification, behavior therapy, cognitive behavior therapy, and applied behavior analysis. 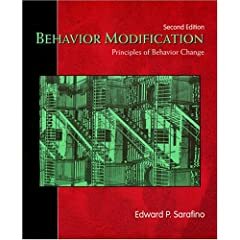 Sarafino’s straightforward, easy-to-comprehend discussions of theory and its application make this student-friendly text appropriate for courses in behavior modification, applied behavior analysis, behavior therapy, and the psychology of learning. Free Yourself from the Habits, Compulsions, Feelings, and Attitudes That Hold You Back. A guide to freeing ourselves from the inappropriate and crippling behaviors that sabotage our success. 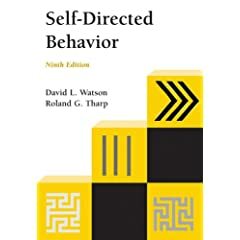 Incorporates proven techniques and technologies that bring self-awareness to a higher level. You will achieve dramatic improvements in your primary relationships, achieving deeper levels of intimacy, increasing self esteem, humor and lightness. 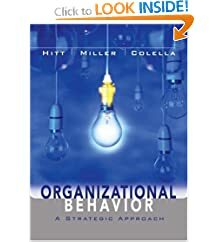 By emphasizing the connection between organizational behavior and performance, Hitt, Miller, and Colella help you understand the value of OB to today's organizations and your future career.